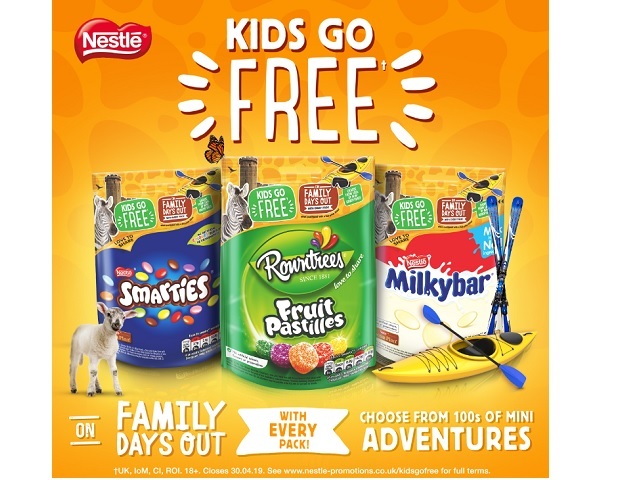 The Nestlé Kids Go Free on Family Days Out promotion gives families the choice of discounted entry to great locations across the UK including Calvert Trust Kielder and Calvert Kielder. Explore the great outdoors for family fun and adventure. To find out what Calvert Trust Kielder and Calvert Kielder have on offer please visit Nestlé 'Kids Go Free' Website.